What if there was a way for you to create a new income stream and validate new product ideas? Sounds too good to be true, right? It’s not! On this episode of The Amazing Seller, you’ll hear from Scott as he explains how sellers like you can leverage a blog to feature products that appear on Amazon. This is by no means, a get rich quick scheme. If you want to make this opportunity work, you’ve got to put in the hard work and follow Scott’s helpful five-step process. To find out what it takes to get started with this venture, make sure to catch this helpful episode! Become an affiliate for Amazon & Clickbank! A great way to earn revenue on your blog is to feature products from Amazon and digital product from Clickbank that line up with the general theme or focus of your brand and blog. In order for this to succeed, you’ve got to be able to create engaging content that your target audience will connect with. Don’t miss this simple way to create an additional revenue stream by linking to traditional and digital products! 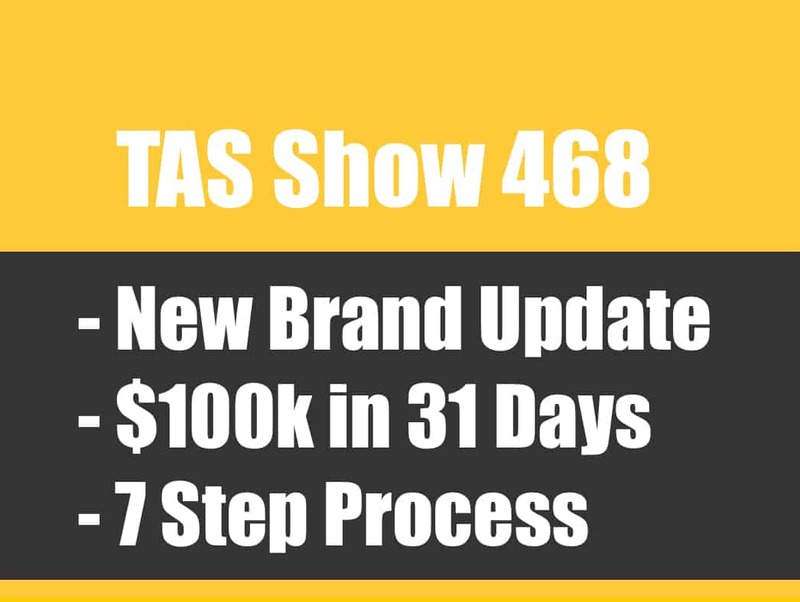 Learn more about this whole process from Scott by listening to this engaging episode of The Amazing Seller, you don’t want to miss it! Optimize your blog post content! If you are ready to start putting time and energy into building up a blog so that you can receive income from affiliate links, you’ve got to start working on optimizing your blog and its contents. How will people find you? What keywords will you use? How can you connect with other blogs and come up with a partnership? On this episode of The Amazing Seller, you’ll hear from Scott as he explains how sellers like you can start optimizing your blog so the right people can find it and engage with your content. Don’t leave it all up to guesswork and chance! Learn more by listening to this exciting episode! Leverage your email list to drive traffic. If you’ve been around the TAS community for very long, you know that Scott is BIG on sellers creating their own email list to connect with their target audience. Have you built your email list yet? What’s holding you back? 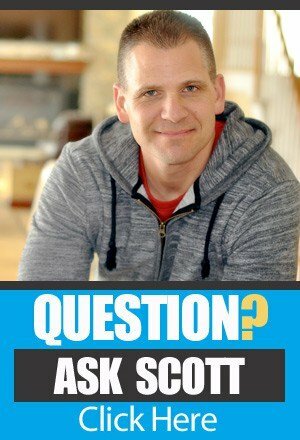 On this episode of The Amazing Seller, Scott goes over a great use for your email list and how it can help you make money without a product to sell! Scott explains that you can utilize your email list to drive traffic and hopefully affiliate sales through your blog post. Again, it’s helpful to make sure that the content you are driving your followers to provides value and connects with your brand. Learn more about this important topic from Scott by listening to this episode! Use the sales data to validate product ideas! Wouldn’t you love to make money while you used the market to validate product ideas for your brand? Of course, you do! Is that amazing scenario even possible? What does it look like? On this episode of The Amazing Seller, Scott shares how he and his team have used this strategy of analyzing the sales from their blog to drill down into niche product ideas. You can use this same strategy to see which products your target audience is attracted too and then go to work on your next product idea! It doesn’t have to be more complicated than that! Get more helpful tips and insights like this one from Scott by listening to this episode! [4:00] How signing up for Amazon Associates works. [7:00] Scott launches into the 5 steps you can use today! [10:00] How to feature links to digital products on your blog. [13:00] Driving traffic to your blog. [15:00] Using your email list to drive traffic to your blog. [18:30] Look at the data you’ve created with your posts. [20:00] Scott recaps all 5 steps. [22:30] Buying a site or blog that aligns with your brand. 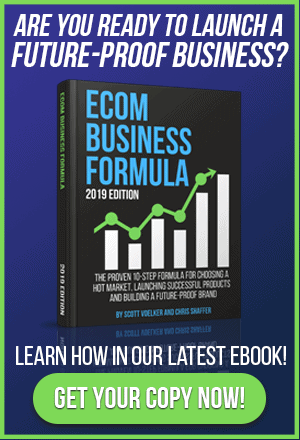 …five steps to earning extra revenue with no new products and how we’ve done this in the new brand and I’m going to be breaking down exactly how we’ve done that. And we’ve generated just over $3,000 without adding no new products. And I’m going to share exactly what we did and kind of those five steps. Now let me just be honest with you right now. It’s taken me about four tries to get this intro. And I don’t know why. Some days I jump on here and I’m ready to go and everything is smooth. Today I’m having a little bit of an issue. And I think the reason is because we just got back. I say we, myself and Chris Shaffer just got back from travelling from an event called Resonate. You guys might have attended that or maybe you’ve heard of it. It’s an event put on by Seller Labs, Jeff Cohen and the guys over there and it was great, it was awesome. But I’m kind of tired, I’m not going to lie but I learned a ton and actually to let you guys in on a little secret here, we’ve actually recorded I believe it’s four episodes in the car as we were going up and as we were coming back because we had four hours in the car. And they’re really good to be honest with you. Not just to say that we created them and they are going to be awesome but they are and they are going to be awesome because we were able to really just discuss this whole flywheel effect you’re going to start hearing more about and how we can add these different components to our brand and really grow it and scale it. And it is a little bit next level so if you guys are just starting for the very first time, I wouldn’t suggest that’s where you are going to start. But you can definitely listen and you’ll pull what you can do in the future but I wouldn’t want you to get overwhelmed. If you are brand new, and you’re saying to yourself well, where do I start? Well there’s a couple of different resources and I’m going to give you those right now. Number one you can always attend our workshop. So you can go to theamazingseller.com/workshop. [00:02:04] Scott: That will get you pretty much the entire road map laid out for you in about 60 minutes and then we do some Q&A there as well. So you can check that out, totally free. The other training that I would recommend is our boot camp and that is our product discovery boot camp. You can find out more details there by heading over to theamazingseller.com/bootcamp. That is really the foundation of, if you’re just starting, finding your market and then from there deciding what products you can sell to that market and if you can build a brand and when you do decide that you can, how to actually do that. That’s what the boot camp does. So I would definitely recommend that. So, look forward to these episodes coming up because they are going to be good. It’s kind of funny too because we seen some things along the way and we were trying to paint that picture of what we were seeing on the road but it was a lot of fun. And it’s really good because we were able to sit down, talk about this scaling and growing and this flywheel effect and you’re going to hear us on the way up and then on the way back. And those will be coming in the next couple of weeks two, three weeks I believe it is. So just wanted to give you a heads up on that. So with that all being said, now I think I’m ready, I think I’m back into the rhythm here. You guys know, we all have those days. You get up and something just doesn’t go as planned. Actually, this morning I was getting back into my workout, my routine and I get up, perfect, I get up on time, I go on out to the garage and I hit the light switch and the breaker trips. So got to go out, got to fix the breaker, then I get the breaker fixed, I go on out and then the garage door starts coming down and it hit something in the way, there was this thing we had leaning up against the door. And boom, the garage door goes up. So took me ten minutes to get out there to actually do my work out. Just one of those mornings. And now here I was struggling a little bit to get started on this episode. But anyway, that’s how it works guys. It happens to me, I’m sure it happens to you. It’s okay. [00:04:01] Scott: Dust yourself off and move on. Like that’s it. That’s what we’ve got to do. So let’s do that right now. Let’s dive into these five steps. So here’s how it happened. I’m going to kind of paint you the picture of what happened and then from there I’ll break it down. So if you’ve ever heard of the Amazon Associates program, that’s basically where you can sign up, anyone can sign up and you can then promote any product on Amazon and then you can get commission from it. You can receive commission from that. Now, the commission is very, very small. 4% usually when you start and depending on your volume you can increase that to 6% to may be8%. So not a ton. But it’s something, right? The other thing is when someone goes through your link that you provide as an associate as an affiliate you’re also tracked for 24 hours. So let’s say for example you sent them to a product, it doesn’t even have to be yours. Let’s say it’s not yours. And then from there they click on it, they go over there and they buy it. You would instantly get credit for that and then you would get paid for that. Let’s say for example they go through your link, they don’t buy that product but they wander around for the day and then 12 hours later they go back to their shopping cart which they already had a few things in. Maybe they had a camera in it and maybe it was a $500 camera. Then maybe it was, maybe the husband had something in there as well. Maybe it was a tool that he was going to buy. And now they go ahead and they check out, you’re getting credit for those sales too. Even though you didn’t necessarily bring them over for those items. That’s how it works with Amazon currently. So 24 hour, they call it a cookie. It’s basically where once they go through your link they are tracked for 24 hours and if any sales are generated there you will receive the commission. So especially in fourth quarter when people are filling up their carts and then they come back, it’s a great thing for you guys especially if you are recommending related products that you might not even sell. [00:06:03] Scott: So for us, what we’ve done is on our blog and I’m going to go through these five steps and how we’ve done it and then how you can do it as well but through our blog just from posting our content we’re also mentioning other products that we don’t sell and that we’re probably not going to sell. And then what we’ll do is we’ll have an affiliate link there that will lead them over to Amazon. Now, you can use and again use your own judgment on this because I’ve had mixed reviews on this. You can still use your link to send people over, you just can’t do it in email from what I’m aware of. But again read the terms of service and you do what you feel is right. But we’ve done that as well where you might have a link on your blog with your product and then from there that will drive them over and then you can also track and see how many sales have been generated through that link. So, let me roll through here and let you guys know these five steps. So number one is a blog or a website. So we have a blog, like I said, and a website but basically let’s just talk about the blog portion. We’re writing posts about our products and other products that we might not ever sell. But why not put a little link in your blog especially if you have traffic coming over there like right now we’re averaging about 30,000 to 50,000 unique visitors every single month. So why wouldn’t we want to try to capitalize on that traffic even if they don’t buy our stuff. So if you’re talking about like, for example, let’s say you’re talking about your garlic press and then you’re starting to talk about maybe some type of blender that is used in the kitchen or some type of chopper or some type of purifier or whatever… I don’t even know if that’s what it’s called. You know what I’m saying there. When you put the… I don’t even know what I’m talking about here. [00:08:01] Scott: It’s when you’re cooking in there and you have some type of blender that, I don’t even know the right word for it. It’s really bothering me. Anyway, I’m going to move on because I’ll be stuck here. You get what I’m saying, right. It’s some type of device that might be a $200 product. But you’re not going to sell that. But your product goes well with it. I’ll give you another example, let’s say for example you’re selling accessories for the vitamix. The vitamix, you’re not going to sell that. That there is a $400/$500 product but you’re going to sell accessories for it or maybe a replacement part for it. So you can be an affiliate on your blog and mention the vitamix and then you’re going to get credit if they buy that product. Or, if they go over for the vitamix, they want to see it, they want to see more details about it, you’ve sent them there through your link, you associates link, your affiliate link and then let’s say they don’t buy the vitamix but they added other things in their cart throughout their day. Maybe they filled their cart up to $300. You’re getting credit for that for the first 24 hours. So that’s all that we did. That’s it. That’s all that we did. So we posted on our blog, we wrote posts about our products and then if there was any other products that we weren’t going to ever sell, or maybe here’s another thing. Or maybe you’re going to possibly sell a product but you are not selling it right now. You could drive traffic through that link just to see how many people are buying it. And then if you see that a bunch of people are buying it, guess what? You can then private a product similar to that and then switch out that link later to drive to your listing. That’s how you could do it. And I’m going to give you guys a tip here at the end no how you could speed up this entire process just by using that type of strategy. So what would you need for a blog? WordPress is what we use, you can use Shopify for your store but also Shopify has a blog component to it. We use WordPress pretty much and then we bolted on Shopify just for the shopping cart portion, which we’re not even really using all that much yet. [00:10:03] Scott: We have it set up but it’s there just to be ready for when we start using that portion. But right now, it’s basically blog posts. That’s it. Some content. So number two you have to become an affiliate. So like I said before, your Amazon associates account. That’s what you’re going to need to sign up for. Whether you use it or not, you should sign up for it. This way here you have the option to basically become an affiliate for all the products in the catalog on Amazon. The other thing you can do is let’s say that you don’t want to use Amazon or maybe you do but maybe there’s other things on Clickbank. Clickbank is a digital products affiliate platform, marketplace. So if you go to Clickbank let’s say you sell fishing gear. Well, maybe there’s a fishing course that shows people how to fish better or catch more fish or maybe there’s a hunting and you’re selling hunting gear or maybe there’s a weight loss thing in there and you sell weight loss stuff or exercise equipment or anything like that. Clickbank is a great place to find digital products that you could also offer on your blog if it goes with your brand. Now, I’ve talked about that before, taking a digital product and a physical product and making that hybrid of those two types of products. Clickbank is a great way to test and also to see what digital products might be selling in your marketplace. So even if you just go to Click Bank, and I’ll leave all these links in the show notes guys. The show notes are going to be found at theamazingseller.com/519. So I’ll put all this there, I’ll even put the list here of all the things that I’m going through. So this way here you can go back to it and reference it. So that’s what you’re going to do. You’re going to Click Bank for digital products and that way there you can get an idea of what is selling in your marketplace for digital products, give you some ideas and who knows. Maybe later you will have your own digital product. Amazon is your associate’s place where you can go ahead or your products place where you can become an associate for, basically an affiliate. [00:12:04] Scott: Then any other stores in your marketplace. Let’s say for example you do sell fishing gear. And then you go to this bib fishing site, well they might have an affiliate program. If you scroll usually to the bottom, it will say partner or affiliate. That’s what it will say. Become a partner or become an affiliate. And you might see that any product that you refer people to over there to their site, they might give you 10%, 15%, 20%. So it’s another way for you to talk about related content or related products that you’re not necessarily directly competing with or that you want to test and sample before you end up private labeling them, you can go ahead and do that. And that’s all that we’ve done here. And we’ve picked up over $3,000, I think it’s closer to $4,000 right now as we speak. I think one of our highest months was like $800. So $800 in one month from no products just from an affiliate commission check. That’s it. So that’s number two. Become an affiliate for different vendors or different places. Number three, traffic. So we have pushed Facebook ads to our content. So if we have a video that’s doing really well on Facebook, we might then drive traffic to that which then will lead them to our content on our blog. SEO, search engine optimization. I’m not going to get it too much in the weeds here but that’s basically doing some things on your blog to optimize your blog posts or your content so this way here you’re going to be found and searched for Google. So if someone searches for ‘best stainless steel garlic press’ they are going to find your content and then from there it will lead them over to your products. That’s all that we’ve done there. Very basic SEO stuff. Again, I’ll probably do a whole episode on search engine optimization at some point because again I told you guys I’m going to be really talking about building a brand. [00:14:01] Scott: And really like all those different components content, all that stuff. I even have, I have a guy that I’m going to bring on that’s a YouTube expert who is building these amazing channels with, hundreds of thousands of people subscribers so that’s what we’re going to be doing. We’re going to also have him on and then also the other thing that you can do for traffic is you can also guest post or do a collaboration with another channel. Again, this is where we have to find the traffic so this way here we can direct it over to our content and the best way to do that is to find other people that already have an audience maybe. So that’s another way to do it. So Facebook ads to your content, SEO will naturally start to get you found, like right now I believe half of our search traffic is from organic, meaning from Google. Guest posting or collaborations. So that’s number three. Traffic. We have organic and paid. Number four, email list. So we have an email list, we are not putting in affiliate links in our email list, we’re not doing that but we’re driving them to a piece of content that may have affiliate links in it or our own products. We kind of look at this like amplifying our content. We’re taking a piece of content that we’ve written and that we might have put videos on that will help them with one thing or maybe help them get something set up or maybe five things… Kind of like this, like five things. You can list out five things about the next time that you go out on your fishing trip. Then you would mention it in email, you would drive that traffic from your email list over to the content. So that’s why we talk a lot about building an email list. Well, that’s another reason why because we want to drive traffic over to our own platform and then from there get them into our world which now they can also click on links on our blog that could also lead to our affiliate commission. So just another thing to think about. Again, I’m just leading you through like everything that we did in order to make this extra revenue without any new products. [00:16:05] Scott: And we’ve gotten a lot of intelligence. We’ve also identified some other areas, some other products in our space that we might not have been thinking about. So it’s another way to kind of get a heads up on the market and what they are buying. The other thing and we’re starting to play around with this as we speak right now is Facebook Messenger. So it’s another way for you to build a list inside of Facebook. Now, Facebook owns that. If anything happens there we’re kind of out of luck, the email list you’re always going to have but the Facebook messenger is now becoming really, really hot in our space because the open rates are really high, the click through rates are really high. But like anything eventually marketers are going to come in, they are going to screw it up, it’s not going to work as well and then we’re probably going to revert back to our email list. The other thing with the Facebook messenger is we can also create a custom audience inside of Facebook. Once we do that we have another place that we could then potentially reach these people. Again, I’m not going into the weeds there but I’m just letting you guys know we’ve built an email list so we have a list and we’re also working on a Facebook messenger list and a custom audience inside of Facebook. So that’s number four. It’s building that so we can send content. Another thing you can do is once you have some content and you have an email list and you have your auto responder, we call it, kind of our auto sequence it’s where you could then once a week send them a recap of the week or maybe a tip of the week or maybe something that is newsworthy of the week and then that can lead people back to your content. If you do this, think about this if you only have one a week and you did it for 52 weeks, you’d have 52 emails that went out automatically. You’d already have these done. So the minute someone new comes into your brand they would get email message number one, it would wait seven days, they get email number two. It waits seven days, they get email number three and so on. So think of that as a little machine that you’re building with information and then from there it’s going to drive them to a piece of content which then they can buy directly from you, from the products, they can get information so they are going to know they can trust you better. [00:18:12] Scott: And they can be led to an affiliate product that you have listed on that blog post. We’re using convert kit. If you want more information about that software you can head to theamazingseller.com/convertkit. 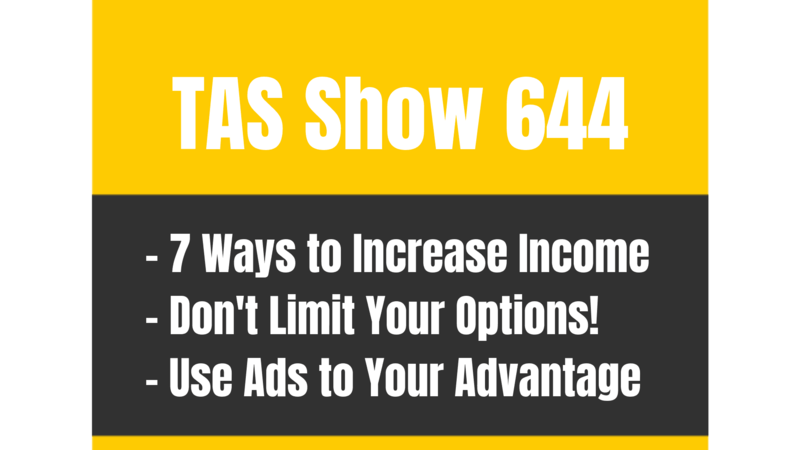 And I’ll leave the links here in the show notes and I am an affiliate for Convert Kit. So you would buy me a cup of coffee, just full disclosure there. So that’s what we use in the new brand. Number five, is now what we did is we looked at the sales and now we see are there potential products that we could be selling? So we’re looking at the data, we’re making money but we’re also looking at the data. So this in step five here is where now we’re going to be able to say, okay, we brought some traffic here from all these different areas. We have blog posts which now we can look in our Google analytics and we can see like where the traffic is coming from but also what posts are getting the most traffic and what one is performing the best and then what we can do is go, Okay, maybe we’re onto something here. Maybe we weren’t selling this certain style of garlic press but we were recommending it or maybe a lot of people are buying the vitamix, then we didn’t think we were. We thought they were buying a different brand because we put three different bands in that blog post. And we found out that Vitamix was a top one. So maybe now we want to have accessories for that product. You see where I’m going with this. We’re just looking at the sales, we’re also collecting that check but we’re looking at the sales for potential product ideas to expand out our brand. Also like I said, you’re also making some extra cash in the process. That extra cash can then be rolled back into either more products or maybe more ads on Facebook to build your email list. So that’s what we’ve done here. So those five steps. [00:20:02] Scott: Let me just recap them really quickly. So number one a blog or a website. Number two become an affiliate for Amazon Associates account or a Clickbank account. Any other store in your marketplace that has a partner or an affiliate area where you can go ahead and sign up for. Number three, traffic and that is done by organic and paid. The organic side is your blog that is optimized for search. Again, I will probably do an episode in the future but the basic stuff is just like Amazon. Good title, good description. So if you’re writing the content write it well. You also have areas where you can add tags which will also help you. So those types of things. If you have a video that’s on YouTube you should embed that video. So all of that stuff helps you rank. But I got to be honest. We did very little of that stuff. We just did the basics. We didn’t get crazy with any type of SEO like hacks or tactics. We haven’t done any of that stuff. We haven’t done any link building. It’s all been natural. This has been over just about 12 months. And we’re getting 30,000 to 50,000, one month we had 80,000 uniques. So that’s huge. And that’s another thing that your competition is probably not doing. So it’s a slow build but it can pay off in a big way in the future. So that is your traffic and that can be organic or paid. Number four, building that email list. That’s what we’ve done. We’re constantly building other channels so we can reach our customers. And we might have our customer on our email list but now we’re going to try to have them on our messenger list and we’re going to try to have them on our custom audience in Facebook. So we have three places that they can see our stuff now. So that’s number four and once we have that list we can send them weekly content driving them to our platform, to our blog or to our store or even to our Facebook page if we want to. [00:22:05] Scott: So we have control of that. Then number five is then we looked at the sales and then we seen what was selling, what wasn’t selling, what had traffic, what was converting. We can look at all that stuff. So that’s what we did. So I’d definitely recommend even if you slowly did this, add this and this could be another revenue piece to your bottom line. So like I said we’re almost at that $4,000 when I wrote this, this little bullet point here. It was just over $3,000 but we’re averaging right now over $500 per month. So, little shortcut tip I want to give you guys. Now this is something that I’m constantly looking at. I haven’t found anything yet but I know other people that have. You can literally buy a site, a website or a blog that is already getting traffic. That is already making sales through Amazon’s associates account or links and product sales. There’s some people right now that are really good at SEO, they are really good at then putting products from Amazon that they are an affiliate for inside of blog posts and then making that 4% to 6% to 8%.They are really good at that. So what I want to look for is a website or a blog that is getting traffic, that is getting sales and then from there I want to try to buy that. If it’s aligned with my brand. So if I’m in the fishing space and I see that there’s a fishing site that’s talking about everything that I talk about that would lead my ideal customer back to me and they are getting traffic and maybe they are only making $1,000 in commissions. By $1,000 in commissions even at 6%, if that product is mine or even half of those products is mine I can double or triple that revenue because it’s my own products. And I can take that traffic now and position it towards my other products. [00:24:03] Scott: So what we’re looking to do and again it’s going to happen at the right time but it doesn’t mean that I’m just going to be able to go out there and find something right away. It has to be priced right. So it’s going to take a little bit of time but just keep your eyes open for a website or a blog in your niche and then from there you can look at the traffic and the sales and then from there you can see if it’s aligned with your brand and then you can private label those top products possibly. But just another little tip here. I know you’re going to ask where do I find these? There’s Empire Flippers and then the other one is Quiet Light Brokerage. Quiet Light is really good but they have really, really strict guidelines which is great especially when you’re selling and when you’re buying but Empire Flippers has a different style or a different type. They have the ones with Amazon associates, Quiet Light is more of the physical products side. They do have some that’s the other but from what I’ve seen Empire Flippers has more to choose from if you’re looking to do exactly what I just said. Find a website that’s getting traffic but they are not selling private label stuff, they are just an affiliate for Amazon products and they are making 4% to 6% to 8%, something like that. So definitely check out those if you’re interested at that time or maybe you’re not ready but that’s fine. Just keep your ears and eyes open. Because you can, let’s say you bought one for 10 grand, but it’s getting 30,000 uniques a month and they are making maybe $2,000 a month or maybe $1,500 a month. That would be a good price though because actually I think the way that they base it is like 25X the net. So let’s just say for example they are making $1,000 that would be a $25,000 site. That’s how they price them at Empire Flippers anyway. So it would cost you 25 grand to get a site that is generating $1,000 a month. [00:26:04] Scott: Technically you can probably negotiate with that but then you would have to say that $1,000 are those products that are selling through Amazon’s associate’s program are those something that I could private label or switch out with my own products? That’s really the key thing there. You have to do that. It might make sense, it might not. Like I said, we’ve been looking for a while now and nothing has really came to the surface that we are thinking is going to be a huge asset for us. But if it does we would definitely consider it. So just throwing it out there but you can build your own. Like we’ve built our blog to 30,000 to 50,000 uniques on average and we’re getting some nice traffic now. Now we can start to play around with that traffic, and start putting different products in there that we might be thinking about but we’re not technically selling yet. So just a lot of cool stuff that you can do there. So hopefully this was helpful. Again, this is the five steps that we’ve used to earn some extra revenue in our brand with no new products just really using Amazon’s Associates account or their affiliate program for products that are similar and then again just keep this in mind, you’re cookie-ng them for 24 hour or you’re cookied on their browser for 24 hours. Meaning that even if they don’t buy your stuff you will still get credit for anything that they buy in that 24 hour period. So especially in the fourth quarter or even prime day or any time there’s more traffic that might be a time you might want to bump up your emails and sending them out to your email list on a blog post that could then bring them over from a piece of content over to a product and then from there turn into an associates or an affiliate commission check. The other thing I should probably mention is building an email list. Some of you are already doing it. Some of you aren’t, maybe you haven’t started yet. [00:28:03] Scott: I would start like ASAP. If you have not went through our free training I definitely recommend that. It is totally free, check it out at theamazingseller.com/buildlist and from there you can get started building that list so this way here you can start sending that weekly content and then also slowly start building out your blog or your website with some content that you can drive your traffic to. So that is going to wrap up this episode guys. Hopefully you got value from this. This is episode number 519. So if you want to go grab all the show notes, the transcripts, all the links, all the goodies that we included head over to theamazingseller.com/519. The other thing is I want you guys to stay tuned because we have some really awesome stuff coming and that car cast or those car casts, I should say, we had some going to Atlanta Georgia and we had some coming back. So really good and we’re going to be really talking about the flywheel effect as far as building these outside channels to really drive our business and get that momentum going and really get that flywheel going. So definitely stay tuned for that. I’m super excited for you guys to listen in on that or on those conversations. All right, so that’s it guys. That’s going to wrap it up. Remember as always, I’m here for you, I believe in you and I’m rooting for you. But you have to, you have to… Come on say it with me, say it loud, say it proud, “Take action.” Have an awesome, amazing day and I’ll see you right back here on the next episode.